We at Incorporating Services offer our services in every state, but because we have a physical office in Delaware, we receive a lot of questions about the Delaware Advantage. Clearly, Delaware is doing something right, as evidenced by the most recent Division of Corporations annual report (keep scrolling down the report for some neat statistics). One of the reasons Delaware is a great legal home is due to the partnership the state maintains with its registered agent community. A great example of this partnership is the Quarterly Users Meeting. Each quarter, the State of Delaware holds a meeting between the administrators at the Division of Corporations and online agents (the Users of state services). Through these meetings, agents learn about changes on the horizon with the State, and the State learns about issues agents face in delivering services to the legal community. When we discuss the “Delaware Advantage” in corporate law, these meetings are a part of what helps set Delaware apart from other states. This is the start of a two part blog. This first part focuses on the State of Delaware’s efforts to improve the agent standards for all agents, and the second part will focus on recent legislative changes. The vast majority of corporate entities are registered with online Commercial Registered Agents (CRA). 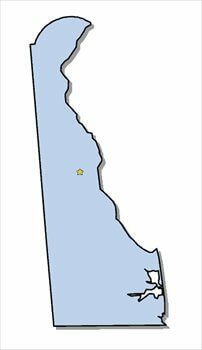 An online CRA (such as Incorporating Services, Ltd) has a direct data line with the state of Delaware. This allows online CRA’s to quickly file formations and retrieve documents. Along with this privilege, online CRA’s agree to uphold certain standards of responsibility as part of the contract with the State. Some CRA’s are not online and therefor are not held to the same standard, nor are these agents privy to the same communication channels as online CRA’s. As a result, the state will work towards opening a channel of communication specifically for those CRA’s that are not online. Further, the State’s legislature is working towards this end, with the submission of HB404, which seeks to codify some of these practices. This will give the Division of Corporation more power to make sure all agents adhere to the same set of standards. Overall, this is a great effort on the state’s part to bring all CRA’s up to a similar standard. While this will require a lot of work on the state’s part, it demonstrates Delaware’s commitment to making sure CRA’s are acting lawfully and helping to follow Federal guidelines. Kudos to the state.